Scott M. Harrigan, a Partner in the law firm of Harms & Harrigan, LLP, received his bachelor’s degree from Clark University. He holds an MBA from Dowling College and his Juris Doctorate from Touro College, Jacob D. Fuchsburg Law Center. 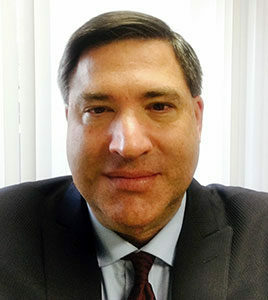 In law school, Mr. Harrigan served an internship as a clerk for the Honorable Leonard Silverman, a Justice in the New York State Court of Claims. Prior to practicing law, Mr. Harrigan was an analyst for a major insurance brokerage company and a financial consultant with a major national insurance company. Mr. Harrigan is admitted to practice in the State of New York and the Federal courts of the Southern and Eastern Districts of New York. Mr. Harrigan is a member of the Suffolk County Bar Association. Prior to becoming a Partner in the law firm of Harms & Harrigan, LLP, Mr. Harrigan was the Managing Attorney of the Quadrino & Schwartz, P.C. long-term disability claim unit and was in private practice with The Law Office of Scott M. Harrigan, P.C. Mr. Harrigan’s insurance practice areas include, but are not limited to, representing individuals with group and private individual long-term disability insurance policies, individuals with private long-term care policies, individuals with group and private life insurance policies and individuals with group health insurance appeals. Mr. Harrigan’s non-insurance practice areas include, but are not limited to, General Counsel services, Real Estate, and Estate Planning, including, but not limited to, the drafting and preparation of Wills, Trusts, Powers of Attorney, Living Wills and Health Care Proxies. With regard to his long-term disability practice, Mr. Harrigan’s unique educational background and work experience distinguishes him from other disability insurance lawyers. Mr. Harrigan’s 23 years of combined experience in the insurance field allows him to analyze your claim, your ERISA appeal, your settlement offer and your litigation from not only a legal perspective but from a financial perspective in order to allow you to make informed decisions regarding your claim, ERISA appeal, your settlement offer, or litigation. The advantage of Mr. Harrigan’s well-rounded and unique history is manifested by results. Mr. Harrigan has successfully provided legal representation and management of hundreds of thousands of dollars of monthly long-term disability benefits. Mr. Harrigan’s knowledge in the field of disability insurance, coupled with his reputation in the industry for honesty, fairness and professionalism, has resulted in numerous lump sum buyout/settlements of his client’s group and/or individual long-term disability policies, in excess of millions of dollars. Mr. Harrigan has represented individuals from all walks of life, including medical doctors, surgeons, dentists, chiropractors, veterinarians, lawyers, accountants, executives, business owners, wall street brokers, sales people, butchers, computer consultants, insurance claim representatives and individuals of all vocations and occupations. Mr. Harrigan has successfully represented individuals with disability claims with all of the major disability insurance carriers and/or administrators including, but not limited to: Unum, Unum Life Insurance Company of America, Provident, Paul Revere Life Insurance Company of America, National Life of Vermont, the Equitable Life Insurance Company, Penn Mutual, Liberty Mutual, the Hartford Life Insurance Company, DMS, Mass Mutual Life Insurance Company, Metropolitan Life Insurance Company, Prudential, Guardian Life Insurance Company, Berkshire Life Insurance Company, First Reliance Insurance Company, Standard Life Insurance Company, US Life Insurance Company, Great West Life Insurance Company, Principal Life Insurance Company, CIGNA, New York Life Insurance Company, Northwestern Mutual Life Insurance Company and Aetna. Mr. Harrigan resides on the East End of Long Island with his wife, their three kids and their mini-golden doodle. Mr. Harrigan serves on the Board of Directors for his local Youth Basketball league and has coached all three of his kids in basketball and other sports over the years. Mr. Harrigan played college basketball for four years at Clark University, with his freshman and senior teams being inducted into the New England Sports Hall of Fame.